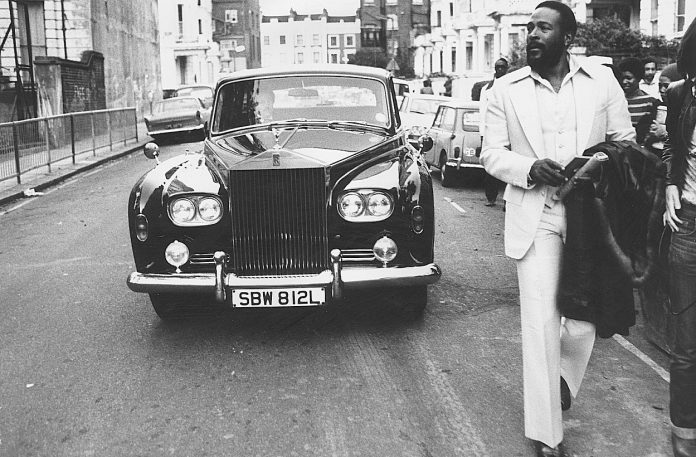 Four days before legendary music icon Marvin Gaye would have turned 80, and three days before the anniversary of his death, Motown/Universal Music Enterprises will release a lost album that he recorded at the peak of his career. You’re the Man, whose title song is an ode to politicians, was supposed to be the follow up to 1971’s What’s Going On, a lament about war, police misconduct and other problems in the world. Gaye recorded the tracks in Detroit and Los Angeles in anticipation of the release of the album, but only the title cut was formally released to the public, Rolling Stone reports. The 1972 album will include a new mix of “My Last Chance,” which has made underground rounds as “I Love You Secretly” for the Miracles in 1973 and as part of a best-of compilation, according to Rolling Stone. The new version is produced by Salaam Remi, who has produced Nas and the late Amy Winehouse. The new album also will include the long version of “I Want To Come Home for Christmas,” a holiday song that gives the perspective of a prisoner of war being held in Vietnam, according to Rolling Stone. Most of the 17 tracks on the album have previously been released on one CD compilation or another, but this is the first time they’re available together as one album. The album will be available on streaming platforms or as a double-vinyl set. Motown is also planning to reissue Gaye’s homage to another soul music scion: A Tribute to the Great Nat King Cole, a little earlier on March 15. Gaye released the album in 1965, just a few months after Cole, who he idolized, passed away from lung cancer. The album is due for release on March 29, a few days before what would have been his 80th birthday on April 2nd. That time of year also marks a dark anniversary in Gaye’s life. Thirty-five years ago on April 1, Gaye was shot and killed by his father, Marvin Gay Sr. (Marvin Gaye Jr. added the “e” for his stage name), in the Los Angeles residence they shared. Father and son shared a tense relationship.